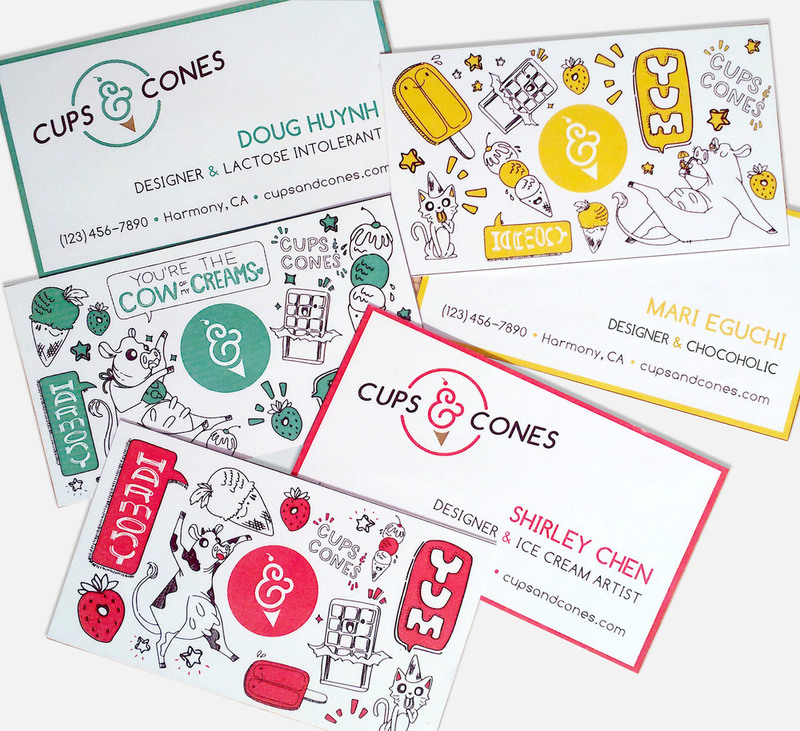 Cups & Cones is a branding and packaging project create for an ice cream truck that would service the San Luis Obispo County. Originally from a small town called Harmony, our client wanted to avoid cliche cow ideas and really wanted something that was quirky and fun. 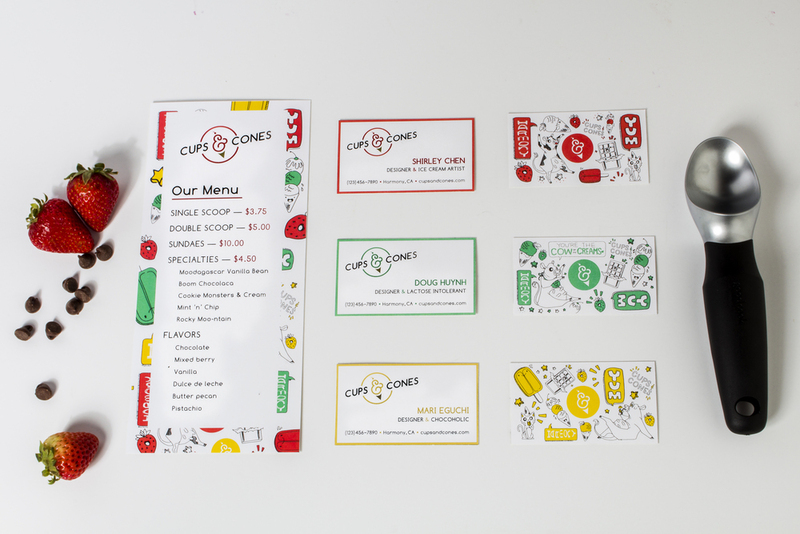 Our solution was to deliver exactly that: a brand and identity system based on the whimsical nature of ice cream with colors inspired by their flavors. We are proud to say that the project was accepted into the Cal Poly SLO 2016 juried student show! We explored different ways of adding an extra dimension to the identity — something to further tie the design back to their roots but also appealed to adults and children. Our ideas ranged from giving their flavors personalized names to using witty slogans until we thought: cows. We decided to illustrate cows with their own personalities and use them as mascots for the brand. 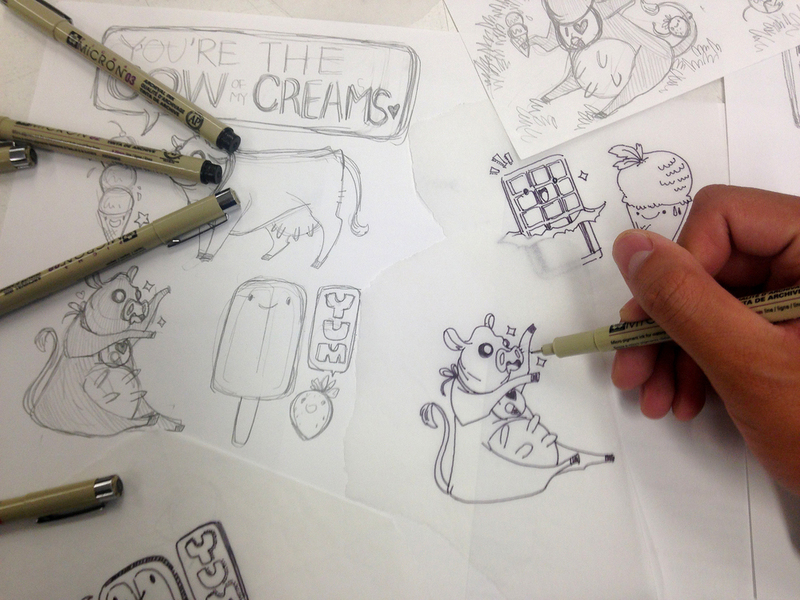 Besides, what better way to pay homage to the animal that keeps an ice cream business running?